A nice oak stand from Craigslist. 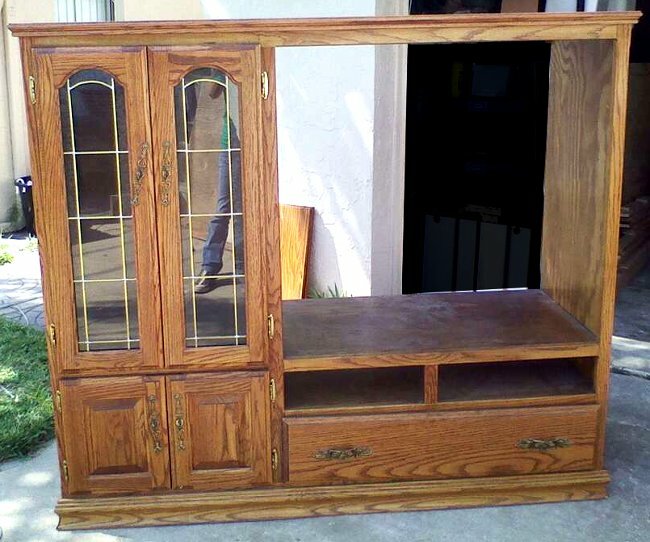 Turns out there are a lot of these on Craigslist. So the plan was to cut off the left side with the doors and use the wood from that side for the shelving. We thought about the shelving for a long time. 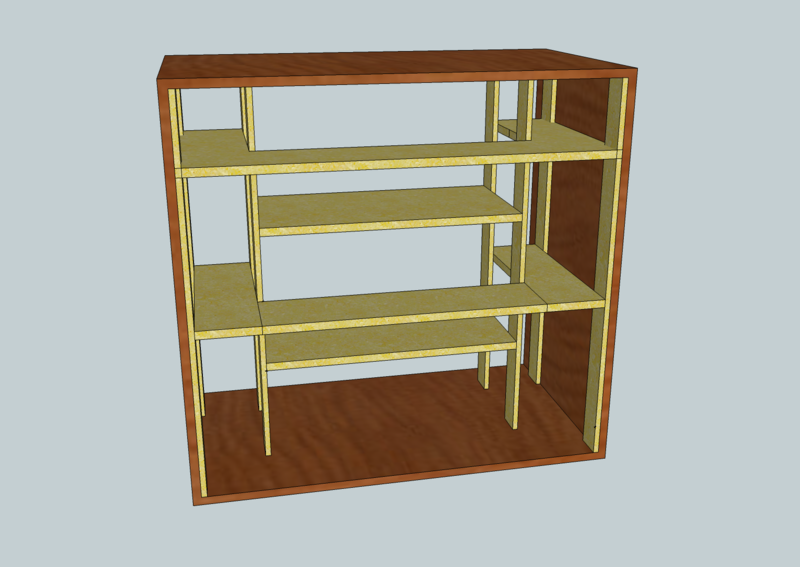 What we came up with was to make two shelves U shaped and two floating shelves, one between each of the U shaped shelves. This design was to have one large shelving unit that can be pulled out and cleaned. The basic layout of the house looking in from the back. Once we started, we found that it would be too heavy to easily pull out. I made some changes to make the U shaped shelves free standing and add supports to hold the center shelves. And add a couple of support nailed into the inside of the box for the outside edges of the U shape shelves. Next > Central AC Not Cooling….